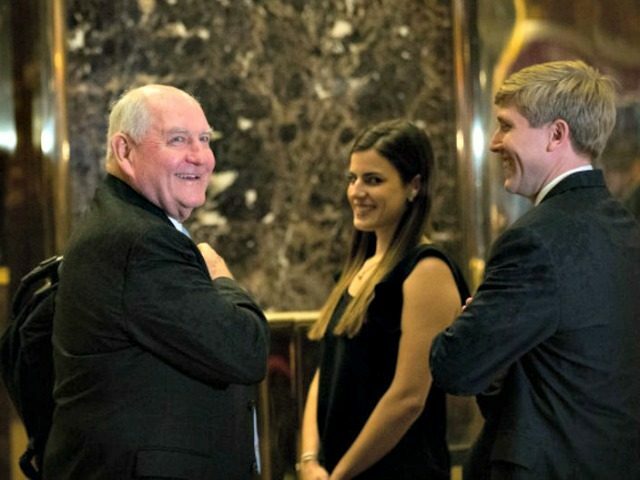 President-elect Donald J. Trump has two cabinet openings left to fill — the Department of Agriculture and the Department of Veterans Affairs — and now Washington is buzzing that former Georgia governor George E. “Sonny” Perdue is lined up for the USDA nod. “If you were to dial into somebody with the knowledge, experience and character to be secretary of agriculture, you would couldn’t come up with a better name than Sonny,” said an individual familiar with the governor, who worked with him in a senior capacity. 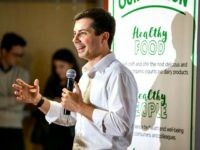 Perdue called the meeting “very genuine, honest, forthright” and said the two discussed agriculture, trade and the economy. Perdue has two cousins in his corner as he vies for the top job. One cousin is Sen. David A. Perdue Jr. (R.-Ga.), the former corporate turnaround expert and, more importantly, President-elect Donald J. Trump‘s strongest supporter in the Senate, save but for Sen. Jeff Sessions (R.-Ala.). The other cousin is the wife of GOP operative Nick Ayers, who was the senior adviser to Vice-President Michael R. Pence during the 2016 presidential campaign. As RNC chair, @nick_ayers would be a tireless advocate for Republican candidates & principles across the country. He would be a great pick! If Perdue makes the cut, he would be the second Georgian after Republican Rep. Thomas E. Price, the physician-politician selected by Trump to lead the Department of Health and Human Services.